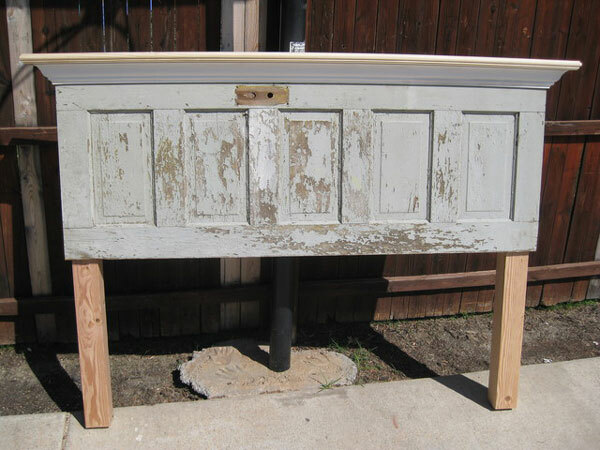 If you are looking for a DIY project that is unique, vintage and super stylish, you may want to try making furniture from old doors. Since vintage doors are already oozing with tons of character, they make a great base for a variety of different furniture pieces. 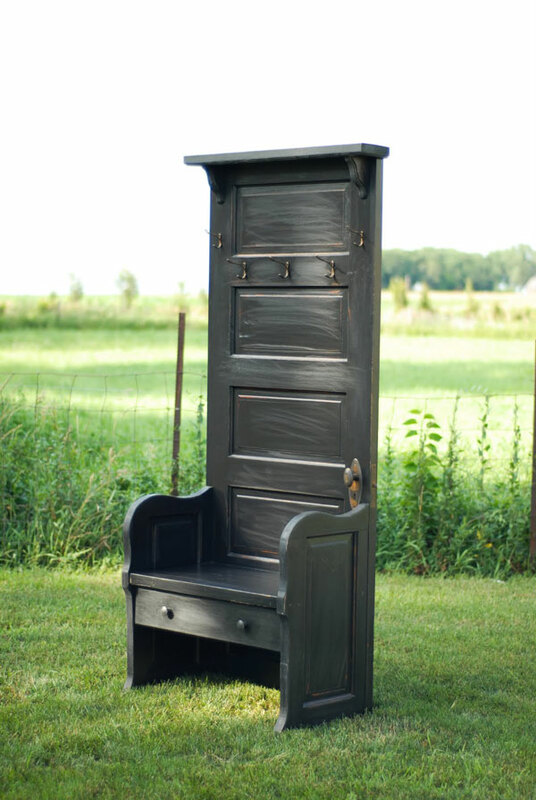 Because the furniture is made from old doors, the projects are all fairly easy to complete. You can find old doors at architectural salvage stores. I often see stores that are stocked full of these wonderful doors. With the variety of styles and sizes available, it should be no problem finding one for in a project. Here is a great inspiration piece. A tree hall bench will have added character and style when the back is made from a vintage door. 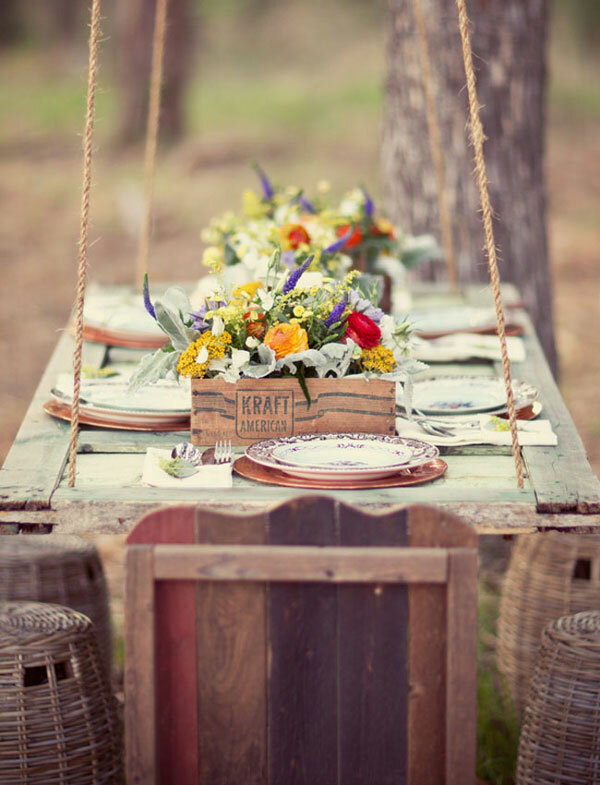 Although I’m not sure what this table is hanging from, I do love the concept! Most likely it is hanging from a couple of large tree limbs. It makes such a fantastic outdoor rustic eating area. 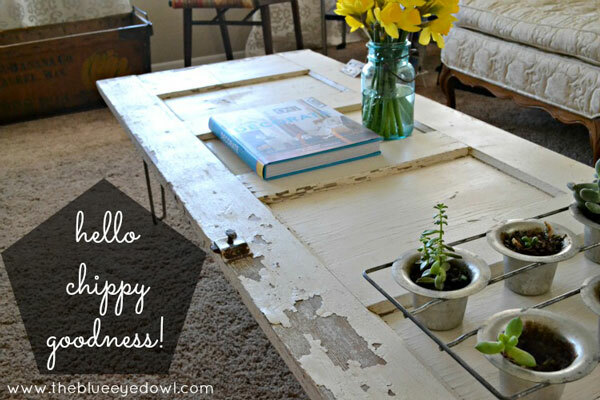 Simply adding legs to an old door will give you a unique coffee table that will be sure to be a conversation starter. Because of the weathered wood, this style is perfect for your rustic home.. See how this table was put together! Shelving units, on their own, aren’t always that interesting or stylish. 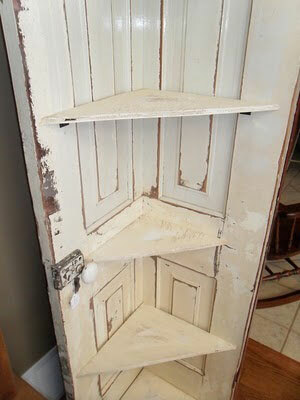 However, one made from an old door is decorative even if you don’t have a lot to put on those shelves. This shelving unit is is full of style. I have seen a lot of instances of vintage doors used as headboards. Some are very simple with a couple used together standing vertically and just leaning up against the wall. Others are attached to boards horizontally like this one. However, I really like the addition of the molding, to the top of the door, in this example. If the door has flaky paint, it is a good idea to coat the headboard with polyurethane to seal. Just a simple heads up if you have children about….some older chippy paints may still have some lead base. PLEASE be cautious and Enjoy!